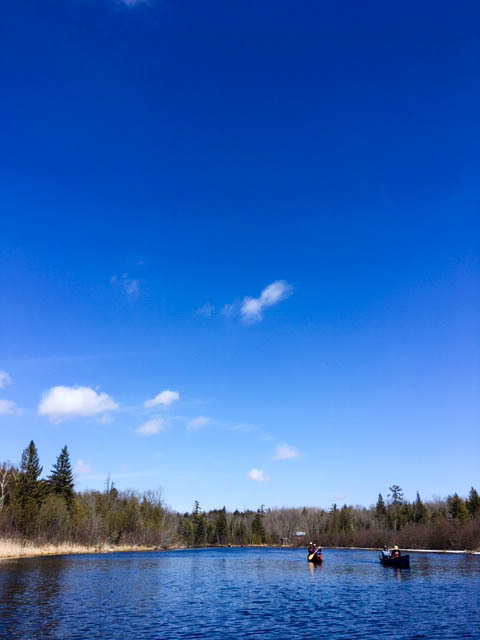 We could not have asked for better weather for our first outing on the Indian River this year. The sun was shining and even the wind was in our favour, pushing us gently downstream with the current. 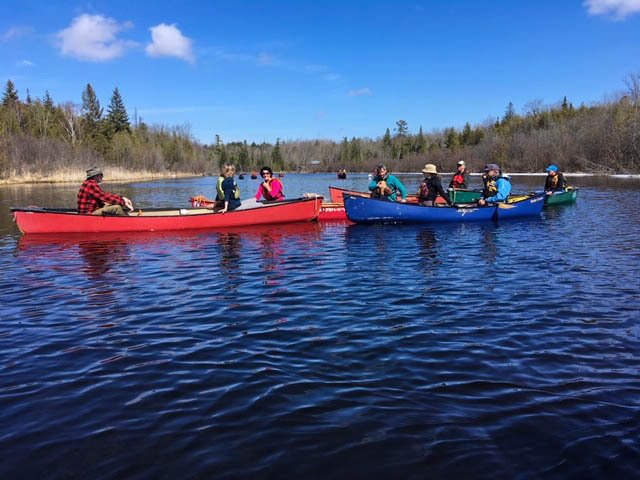 The Indian River is the first paddle my paddling group does every year. 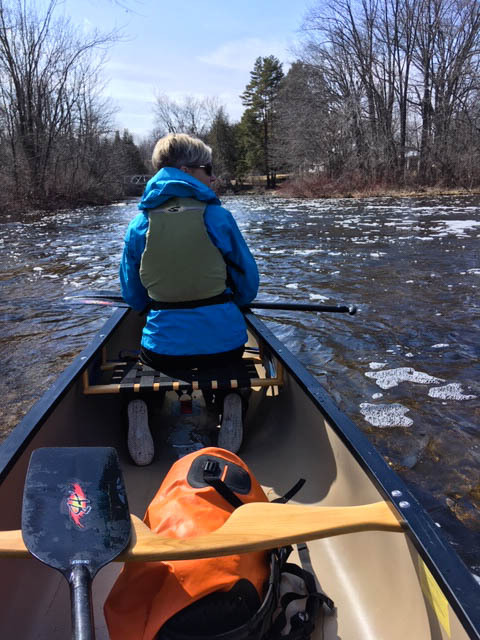 It's a beautiful, local river that is not too technical and we all gain confidence paddling it after a winter of hibernating our canoes and paddles. This year we had a good size group. Eleven canoes in all. 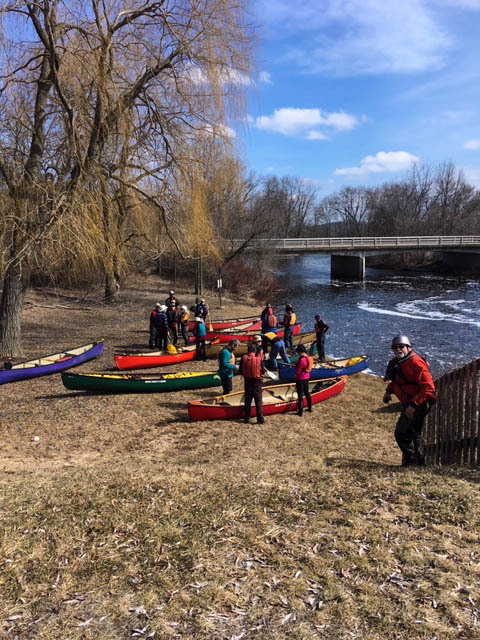 Nine tandem canoes and two solo boaters. With a local river also comes a very respectful put in time to meet and get started. 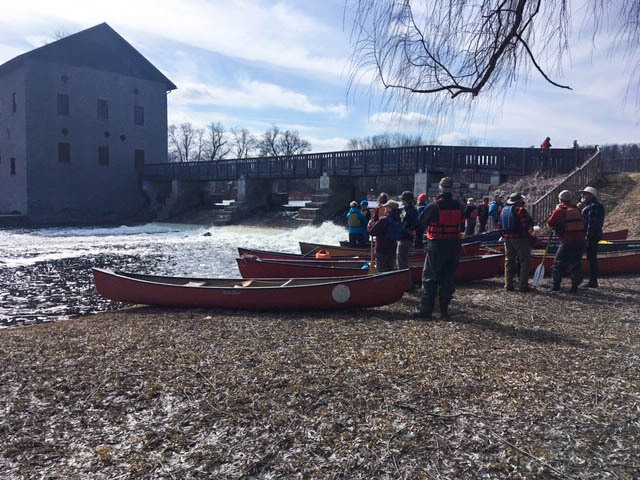 We had an early afternoon meet up and after a quick shuttle from Highway 7 to Keene and back, we were off on the river. 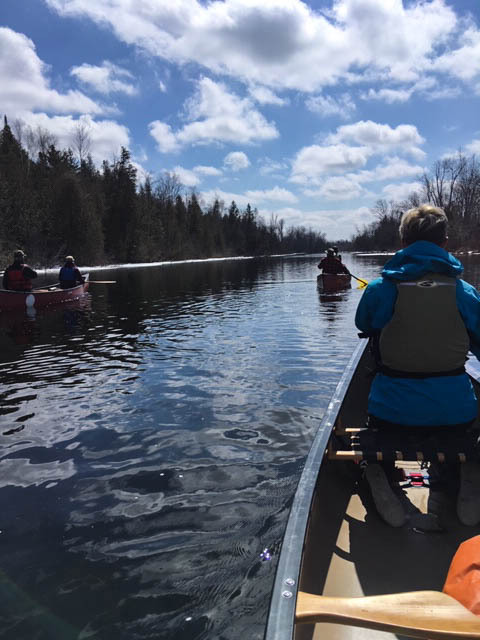 One of the best things about a paddling the Indian River is that the pace gives everyone time to get caught up while we paddle. What did you do this winter? Is that a new boat? Are you coming out next weekend? And, where are we paddling next weekend anyway? Does anyone know what the water levels are like? The usual paddling banter. Never a dull moment being with like-minded folks. A few swifts navigated and a couple of portages around historic Hope Mill and Lang Mill saw our group paddling the flat water just before the take out on Highway 2 in Keene. If we went a bit further we could paddle out to Rice Lake, but that wasn't on the agenda today. Better to take out a flat water boat for that type of paddling. Thirty minutes later we were back home and still talking about what a great day we had. Can't wait for next week and the next river.